Do your brakes do more squealing than stopping when applied? It could be a sign of worn brakes which means longer stopping distances and difficulty stopping in emergency situations – just a couple of reasons why it’s important that your vehicle’s braking system is regularly maintained and checked. To have your car stopping smoothly and sharply, talk to the experts at Auto Masters. Your local brake specialists – offering quality service and brake repairs for both Disc and Drum brakes – our trained brake mechanics will ensure your braking system will perform when you need it most. Bearings cleaned, inspected and repacked (if applicable). If your brakes aren’t performing like they used to, drop into your local Auto Masters Service & Repair Centre today. With over 60 branches across West Australia and South Australia, there’s an Auto Masters near you. 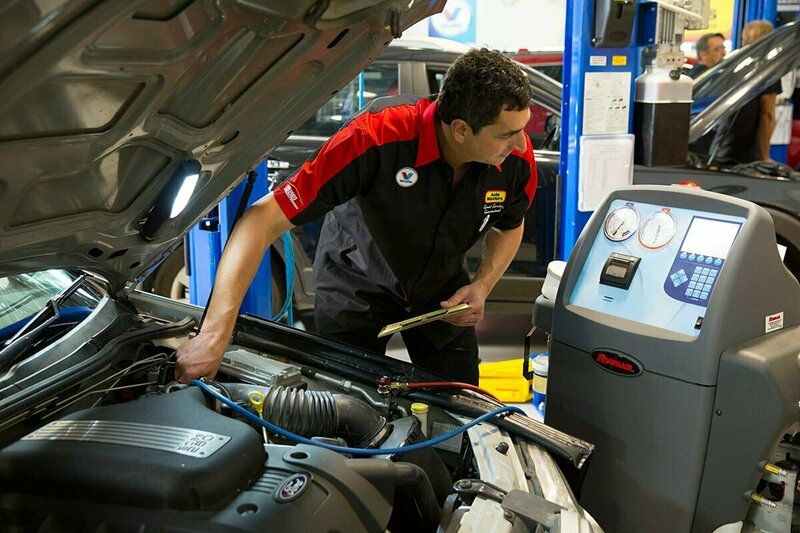 Find your nearest Auto Masters Car Servicing and Repair Centre and book in your car service or auto repairs today. This is maybe because the shock absorbers are worn. A worn shock absorber can increase your braking distance by up to 20%. Book in today to get your shock absorbers checked. Why does my steering wheel shake and brakes shudder when I apply the brakes? When the steering and brake pedal shake this is usually because the disc rotors on your vehicle are no-longer running true (or warped). To rectify this, the disc rotors must be machined or if they have been machined before and are found to be under size, they must be replaced. Our expert technicians will be able to solve any steering wheel problems. Find your nearest branch today. Squeaky brakes occur for a variety of reasons. Often it’s harmless, the result of something like temporary moisture in the brake pads. But continuous squeals or brakes grinding should be taken very seriously as they may mean it’s time for new brake pads or shoes. Worn brakes can mean longer stopping distances and difficulty stopping in emergency situations. And rotors and drums that wear too thin can even become over-stressed to the point of cracking or breaking. If you hear squealing or grinding, have your brakes checked right away. And even if you don’t hear squealing or grinding, have your brakes inspected once a year along with your standard service. Simple brake adjustments and repairs can make a real difference in your car’s safety, so get in touch with your nearest Auto Masters today. My brake pedal feels really soft and spongy. Is this normal? No, it’s not normal. And spongy brakes are definitely not a good sign. A very low or spongy pedal means there’s likely air in the hydraulic lines of your car’s brake system. This creates low hydraulic pressure. If the hydraulic pressure gets too low, your car’s brake pads or shoes may no longer be able to apply enough force and friction to safely stop your car. An immediate inspection of your car’s brake system is strongly advised – get in touch with your local Auto Masters.